The Other Side blog: My New Map! I got my new map from Banners on the Cheap! A bit of background. I was approached back at the end of June about the possibility of printing up a large vinyl banner for an RPG map. 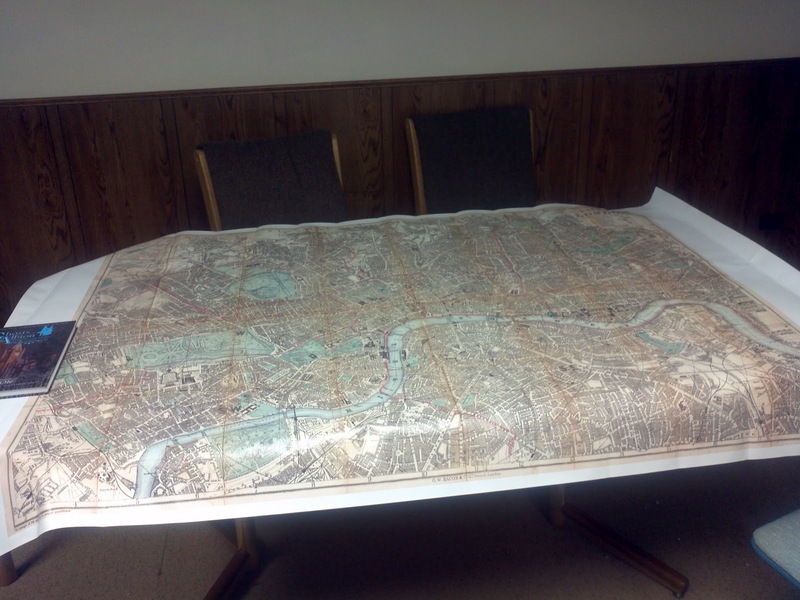 Consequently I have also wanted a large map of Victorian London to put up in my game room. Well I went to the website and setup my new map. All you need is really is the image. The layout interface is ridiculously easy to use. 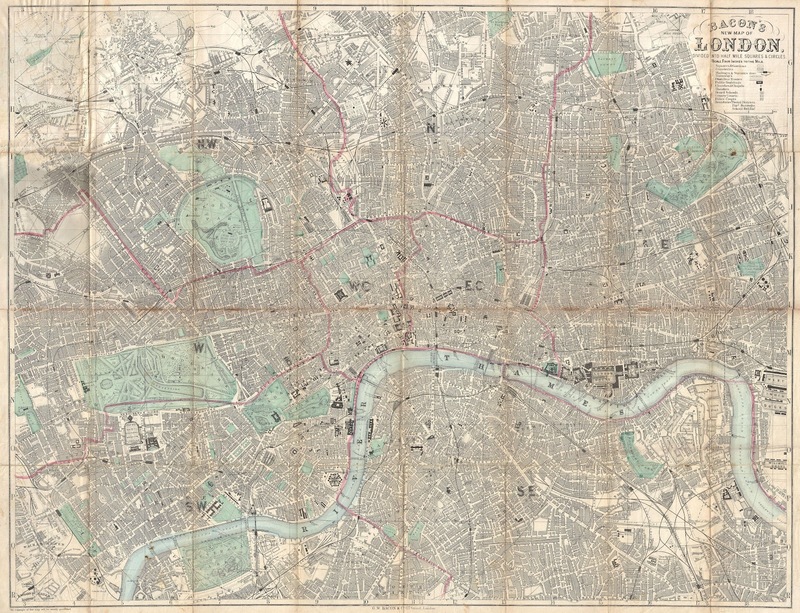 Here is the original image I used, 1890s Map of London and here are the results below! As you can see the map is huge. The banner itself is 4 feet tall by 6 feet long. The image I had when printed at it's best resolution would have been 6 feet by 7 feet. So a good fit really, with some space on the edge. I might print up Places of Interest (occult locations, the Swift's Home, St. Erisian’s School) and pin them in place. I'll more than likely use stickers since I don't want to poke any holes in this. This picture does not do it justice, but the print is very clear, clear as the source image, to the point where I can read the street names. The color is great. It really is an absolute gem of a map. I have not tried it yet with water based or dry erase markers yet, so I can't confirm if those work. What I do know is I am looking for other maps I have laying around here that I would like to get blown up onto a huge banner like this. A scale map of Castle Dracula would be awesome. Failing that, a scale Castle Ravenloft. My expectations were pretty high and I am happy to say they have been met! If you want to try them out for yourself then here is the link. I highly recommend them. That does look cool, could you message me in private about what you paid because I could find a use for something like that as well! Wow, that's not a map, that's a table cloth, a bed sheet...it's huge. And so very cool. So can you mark on it and erase since its vinyal? I have not tried any dry erase or water based markers yet. I will report when I do. If I had that on my wall, I'd never GM a game outside of Victorian London again. Truly wonderful, and has made me more than a bit jealous. 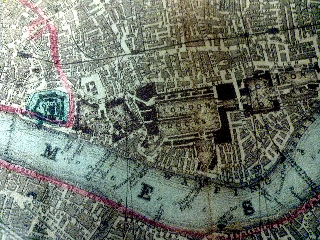 They do an extensive series of London maps drawn from old ordnance surveys. The level of detail is amazing. I'm very envious right now 'cos they approached me just before they approached you - but then discovered I was based in the UK (shipping costs, taxes, yadda yadda yadda). However, they were really easy to chat to. Good peoples! And the map looks fantastic! Of course there is a ton of things from the UK I dying to get too. @David, that is a great resource! I am going to have to read that all in depth. I did a map through Banners on the Cheap, too. Mine was a huge (4' x 8') dungeon map.